What genetic disorder has been linked to emphysema? In general, cigarette smoking is the main cause to blame for this chronic lung disease. Nevertheless, it’s thought that there are also other factors or conditions that can contribute to cause the disease. In fact, emphysema can affect non-smokers too. Even interestingly, many smokers don’t develop the disease. It is one of the most common types of COPD (chronic obstructive lung disease). It is characterized by the millions of alveoli (fragile, thin tiny air sacs of the lung) stretch out of shape or even rupture. As the alveoli get destroyed, the elasticity of the lungs decreases gradually and they lose their natural ability to empty easily. Therefore, emphysema is called obstructive disease because it makes difficulty to exhale all the air from the lungs. Even though after a full exhalation, the high amount of air (higher than normal) may still linger in the lungs. Unfortunately, emphysema still has no cure. 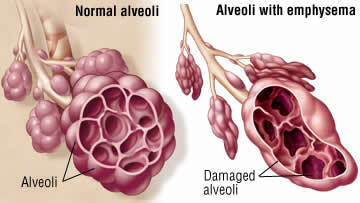 The damaged alveoli can be permanent (irreversible). The good news, it’s controllable though it is progressive condition. Progressive means the disease gradually continues to get worse. The progressive destruction of alveoli can affect the gas exchange (between oxygen and carbon dioxide) in the lungs. 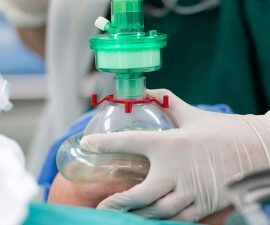 The lungs will gradually lose their natural ability to release carbon dioxide and absorb oxygen as the disease progresses, making it more difficult to breath. People with emphysema can feel easily short of breath. 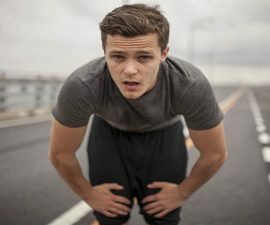 Shortness of breath is the main symptom. It feels like you’re not getting enough air. Typically, it worsens on exertion. But if the damage has become advanced, it may also flare up even while you’re at rest. If emphysema comes with another lung disease, it may be more difficult to treat. For instance, it can be found together with chronic bronchitis, another main type of COPD. The two conditions are associated with the damage to the lungs and bronchial tubes. So how do you get emphysema? Again, smoking is the main risk factor. In fact, most cases of the disease are associated with long-term exposure to tobacco smoke. Exposure to other airborne irritants (such as manufacturing fumes and air pollution) can also contribute to cause the disease, though to a much lesser degree. Another to blame is older age, the risk raises with age. The alveoli damage develops gradually, and most smokers with the disease begin to experience the symptoms between the ages of 40 and 60. AAT deficiency is a genetic, hereditary condition in which the body has deficiency of AAT in the blood. AAT is a kind of protein found in the circulation (bloodstream) that can help protect the lungs from the destruction caused by inflammation. 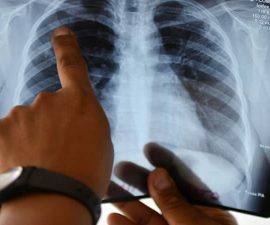 Lack of this protein may contribute to cause particular lung diseases. A small number of people with emphysema is linked to alpha 1-antitrypsin deficiency. 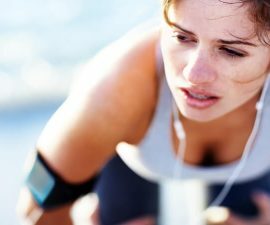 If you have lack of this protein in the blood, your lungs are prone to being damaged. And if you’re a smoker, this can worsen the condition. AAT deficiency is the only known inherited (genetic) condition that increases the risk of developing chronic obstructive lung disease such as emphysema. It may also predispose a person to other diseases such as liver medical conditions (particularly hepatoma and cirrhosis) or more rarely it may manifest as a skin disease called panniculitis. COPD linked to AAT deficiency is usually diagnosed at younger-than-normal age (younger than 40 years old). The exact cause of this genetic disorder is not known. Fortunately, this deficiency is a rare condition.